A team of investigators has compiled statements from a secondary school student of Ba, in regards to a video on social media allegedly showing him desecrating school property. Police Chief of Intelligence and Investigations, ACP Biu Matavou, says the student’s file will be viewed first by the Criminal Investigations Department. 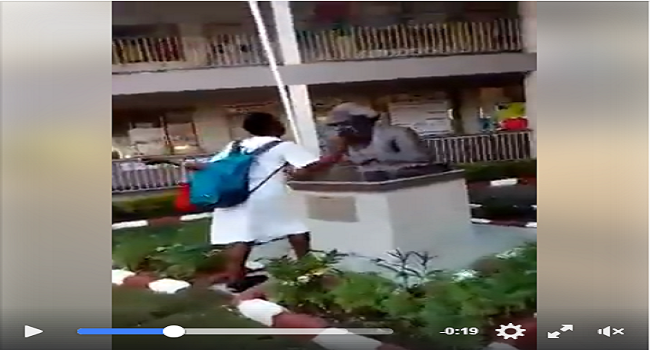 The video allegedly shows a boy in a school uniform cursing, spitting and slapping a statue at a school in Ba. The file is expected to be submitted to the Office of the Director of Public Prosecution, where charges against the student will be decided.